Question: What Does it Mean When a Dandelion Tattoo Turns into a Feather Tattoo and Birds? 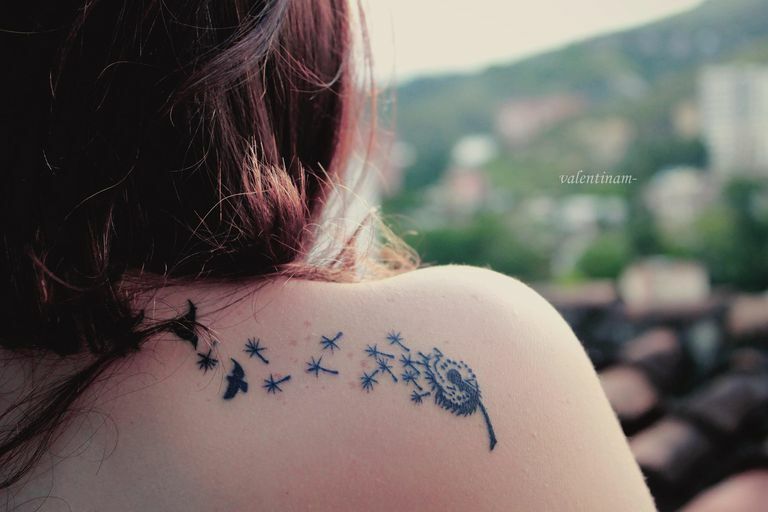 What Does a Dandelion Tattoo That Turns into a Feather and Then a Flying Flock of Birds Mean? It seems everywhere I go on Pinterest, including the Top suggestions you've listed, I keep seeing this unique winged and weed design. I would like to learn more about it, and hopefully make an educated decision before I get the tattoo. Would you be kind enough to tell me what the history of this bird-like design means? Is it spiritual? Answer: Tattoo symbolism is such a rich way to express your beliefs and anything you like to hold of value, into a cherished design. One of the more recent tattoo trends that has really taken flight is feather tattoos. Feathers can signify many things, including freedom of flight and letting go. Are you making some major life changes? Do you feel like you are getting your wings so to speak, and the courage to fly alone? This may be represented in a single feather design. But first, let's address the dandelion. Most people have wished and blown on a dandelion and scattered their hopeful seeds into the universe. If your wishes are then represented by a feather, perhaps you secretly wish to fly alone? Is that the dream you blow about from the dandelion seed? Lastly, we have the flock of birds flying from the feather that emerged righteously from the dandelion. You may think this doesn't make sense but it does. Freeing oneself of the chains and the cage you live in allows you to become who you really are. Taking flight with all the rest of the birds means you are officially airborne. What will you do with this newfound freedom? Will you stay in flight position or will you fly higher than the rest like author Richard Bach's story of Jonathan Livingston Seagull? While I am not certain how this particular design, which blends three hopeful images together, came about, I do know that there is certainly a rich story behind the style. 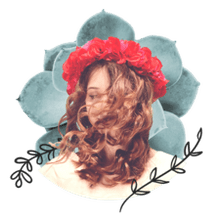 Because there are so many elements you can be certain that you'll be asked, time and time again, what your dandelion, feather and flock of bird tattoo means. Some people do not like explaining their body art and do not appreciate being asked intimate questions. Should that be your personal case, you may want to consider wearing a different tattoo altogether, or placing the three images on your body, but not necessarily together. With a few adjustments you can really make the feather, dandelion and bird tattoo more unique just to you. Don't forget you can also add color, even if it is just on the dandelion itself. A green stem with white thistles would look awesome followed by a single black feather and then a flock of black colored birds. Use you imagination and meet with your artist for best results. Another important consideration is where will you place your dandelion and flock of bird tattoo? This design could look very cool on the shoulder blade, but also works on the inner forearm as well. Tattoos should be placed wherever and however the individual best sees fit, but you can also speak to your artist to get their design and placement suggestions before you make the mark. A talented artist will spend some time analyzing your body and the curvatures and also place pre-existing tattoos into consideration. Be sure you find the right artist for the job and you'll be even happier with your new art. This hopeful and wishful tattoo design combines many elements of both change and hope. Rather than live in the past, or be afraid of making wishes in fear they won't come true, learn to have some faith. It's one thing that's permanent.